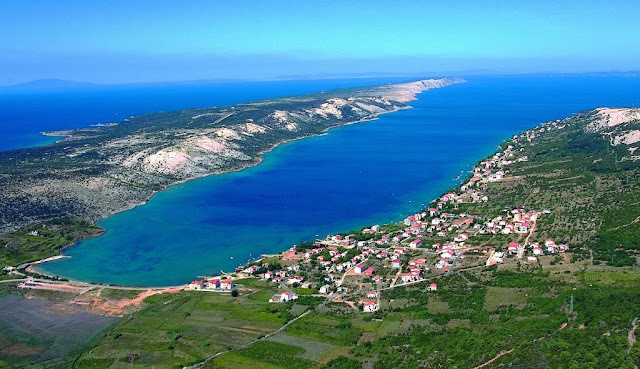 Located on the Northwestern part of the island, Novalja has an excellent connection with the whole Croatia, either by ferry line Prizna-Zigljen or by bus line through the Bridge of Pag, so it is very easy to reach all its coves. The main sight of this place and whole island are wonderful beaches which are mainly away from the settled places, surrounded by thick pine woods and rich in offer, so the party goes on for days, and even nights. After the swimming it’s time for dinner. Numerous taverns, restaurants and coffee places will offer you some of the local specialities such as Pag cheese and lamb, and afterwards you can drink a glass of excellent wine and enjoy in the relaxing sounds of nearby boardwalk. Before the night out you can get warmed in the apartment or many coffee bars in the centre, of which the most noted is ‘Cocomo’ where the bus stop for bus that drives to Zrce is located. Afterwards the party for which the most people come to Novalja can start in one of the three clubs – Calypso, Aquarius or Papaya. Just to prove that Novalja is not only noted for its clubs, I will say something about its cultural and natural sights. In the centre of the town there is a Church of St. Catherine and antique aqueduct from the 1st century AD carved in live rock. It is 1200 meters long and 40 meters tall with nine openings above water. This unique example of Roman culture on the Island of Pag known among the folks as ‘Talijanova buza’, was used as a water supply from nearby fields for Novalja for centuries. Today, this same entrance to the aqueduct is located inside the City museum. If you are a fan of deep blue sea, there is a site where amphorae from the old Roman shipwreck from 2000 years ago are located, and if you are a fan of the UFO, there is a huge megalithic print in stone known as the “Pag Triangle”. Croatia ‘s climate is warm and pleasant in the summer, but cools off in October, so if you see then you will should check the climate before you venture out.